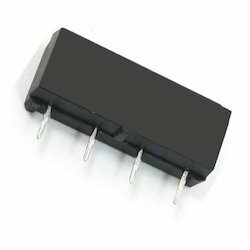 We trade and export to our clients a high quality range of Cosmo Relays and electronic devices. These cosmo relays are widely appreciated by our clients for their high quality and high performing features. We perform various stringent quality tests to check the quality of our range before exporting it to the clients. The various devices we offer are cosmo relays, photo interrupter, photo coupler, reed relays, SSR MOSFET output, solid state relays, reed relays switch, MOSFET output circuit and high voltage reed relays. 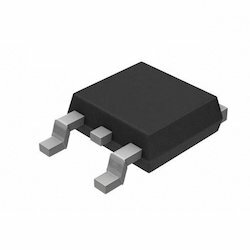 We are offering a wide range of Photo Interrupter which consists of a high radiant power Gas infrared LED and a Si phototransistor. 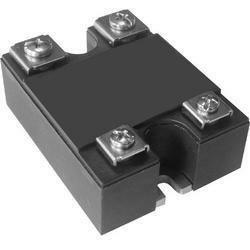 This photo interrupter is housed in a short lead package and is ideal for automatic mounting. Reed Relay is a mechanical switch operation which controls output pole connection. The contactors may include 1A, 1B, 1C, 2A, or 2C. The main characteristics are integrated mounting packing, compact resistant to high voltage, long usable life and high isolation. A Photocoupler ensures total electronic isolation, including potential isolation (as in the case of transformer) in an electrical circuit. 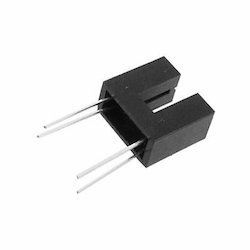 It comprises of Photo Transistor, Photo Darlington Transistor High speed Photo coupler and OPIC. 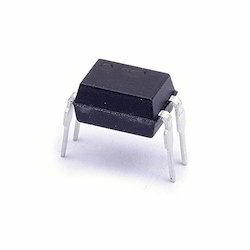 Ideally used for microelectronics, data processing and telecommunication system, these photo coupler can also be used in switching mode power supply units because of their high safety features. Photo Triac is used in power control of two-way triac rectifier. It is applied in circuit as level voltage ideal insulator that separate high & low voltage. It is applied in home appliance and Solid State Relay for controlling isolation voltage. COSMO Photo Triac KMOC series are available for DIP, SMD type. KTLP series are available for SOP type. The characteristics are available for 2 major functions, one is with Zero Crossing, another is without function of Zero Crossing function. Voltage are available for 400V , 600V and 800V…etc. Solid State Relay MOSFET Output is used mainly to control the switch of output pole connection, which provides normally open 1A, normally close 1B, 2A,2B, normally open and normally close 1C and 1 photo coupler+1 MOS connectors. Its characteristics are high voltage, low impedance, compact package, anti-vibration, contactor-less or multiple connector combination and quick response to high frequency. 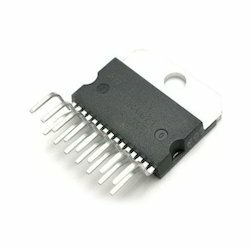 Looking for Cosmo Relays ?